A free pattern for you to enjoy. Make one for yourself, the kids, your friends & neighbors. Add yours to the gallery here. Thank you for this cute freebie!! I’m trying to teach myself to sew. 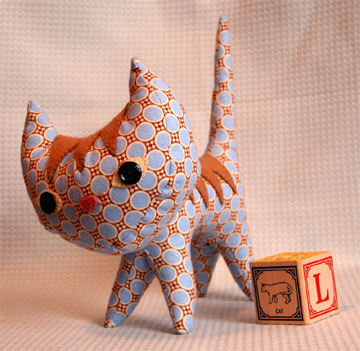 I love making toys, I make a lot of crocheted toys but want to add sewing to the mix. May I add this to my blog, a photo of the cat and a link to your freebie page? I’m trying to rebuild my blog and regain readers.